There is a powerful connection between student achievement and parent engagement. Decades of research have affirmed that students whose parents are active participants in their learning and in their school experience heightened their outcomes in a variety of measures, from school readiness to graduation rates. Further, more recent research indicates that schools have a critical role to play in creating strong family-school partnerships for student success. And yet, sadly, successful parent engagement has eluded California for decades. Now, under the Local Control Funding Formula (LCFF), education officials and school district leaders have a new opportunity. Districts must demonstrate how they are striving to create powerful partnerships between educators and parents. This is a critical moment for education policymakers and administrators to transition from the compliance-based efforts of the past to authentic, outcome-based parent engagement programs, and to adopt a measurement system to track their progress. Ready or Not: How California School Districts are Reimagining Parent Engagement in the Era of Local Control Funding Formula is a report that examines the inner workings of districts across California as they try to meet the parent engagement expectations of LCFF. 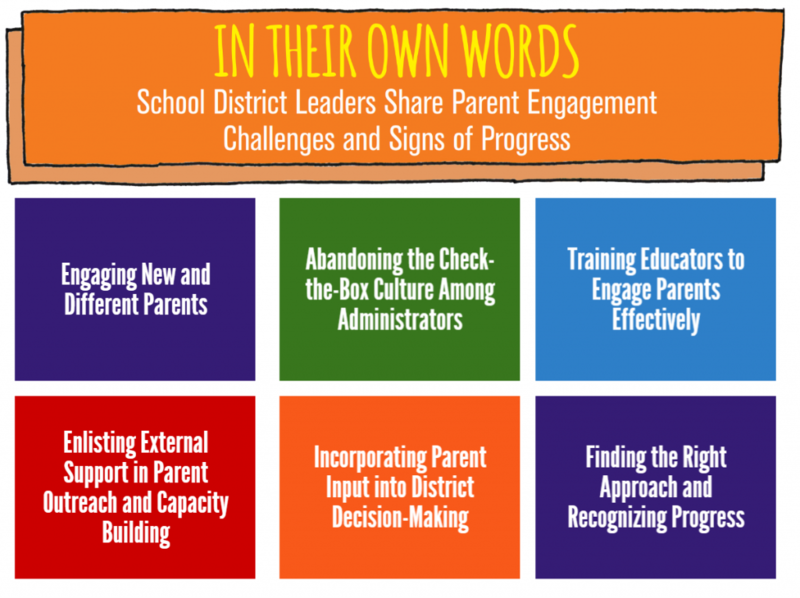 Drawing on thirty interviews with district leaders and staff members, the report is an honest and highly specific portrait of the very real challenges of parent engagement. It also highlights “signs of progress” that demonstrate districts’ capacity for innovation. Download the Spanish version of the report.